If you haven’t already heard, one of our favourite children’s characters is being brought to life again in a fabulous new reimagining of Peter Pan. The new Warner Bros film – Pan – will be screened for the first time on Friday 16 October and, hot on the heels of the premiere, Levi Miller, the bright young star who plays Peter, will be making an exclusive appearance in London in his role as Polo Ralph Lauren Children’s ambassador. Cast your mind back to the children’s AW 2015 show in New York – he closed the show by walking a gigantic Newfoundland dog down the runway, which was transformed into an incredible Neverland-themed playground. The film explores the adventurous beginnings of Peter Pan as he is whisked away to a fantastical world of pirates, warriors and fairies called Neverland. Don’t miss your chance to meet the star of the show and shop the latest Polo Ralph Lauren Children’s Collection on your visit too, it’s packed with gorgeous new season buys. In this family-friendly prequel of Scottish author J.M.Barrie’s Peter Pan, newcomer Levi will star alongside Hugh Jackman who’s the ruthless pirate Blackbeard, Garrett Hedlund as new friend James Hook and the gorgeous Rooney Mara as Tiger Lily. Look out for Cara Delevingne on screen too, she plays a mermaid. 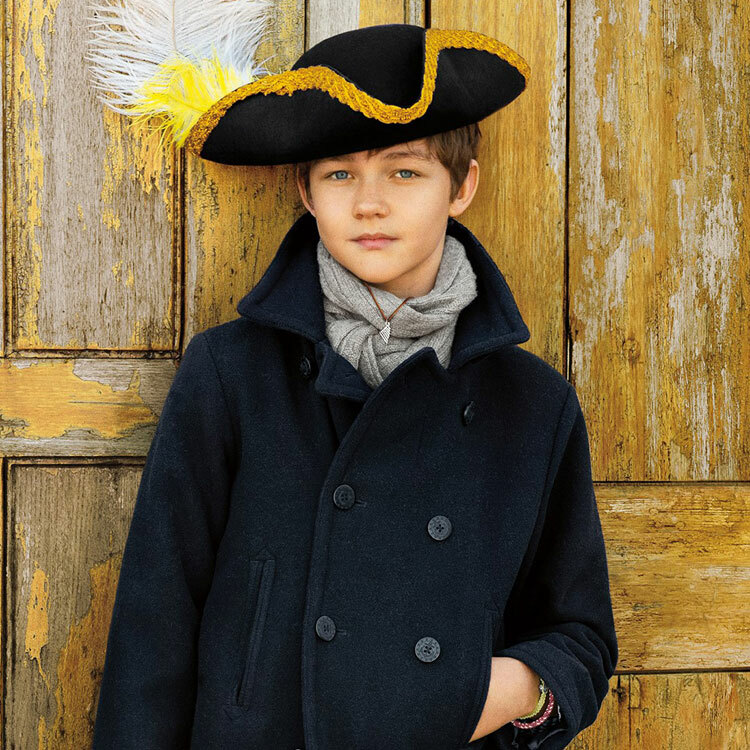 What: Celebrate Levi Miller’s starring role in the new film Pan and his partnership with Polo Ralph Lauren. You’ll get the chance to meet, chat and have your picture taken with Levi and will be treated to Pan-inspired nibbles. The first 300 attendees will also get a goody bag with an exclusive Pan necklace inside.